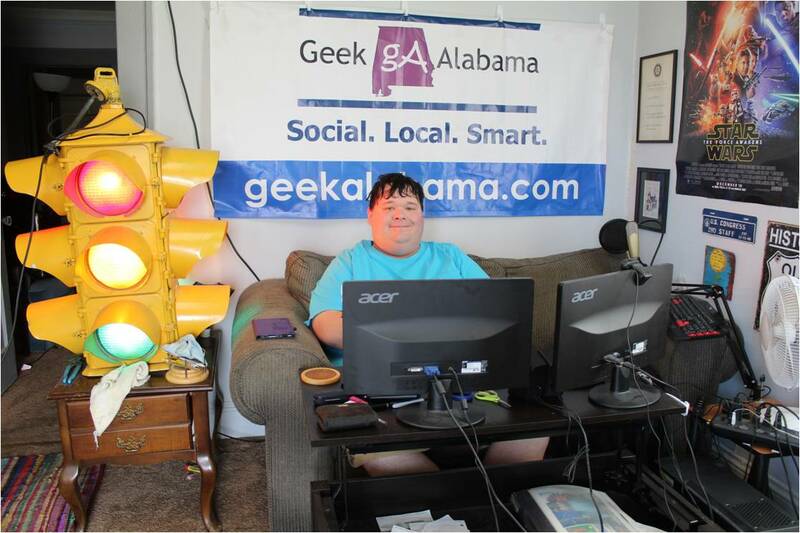 Yes, I was contacted to see this. Ever since I wrote the blog post about how some fans of My Little Pony were attacking the animators at DHX Media, by the way, thanks to all of you who have come and read that post. People have become curious to see what this movie is all about. 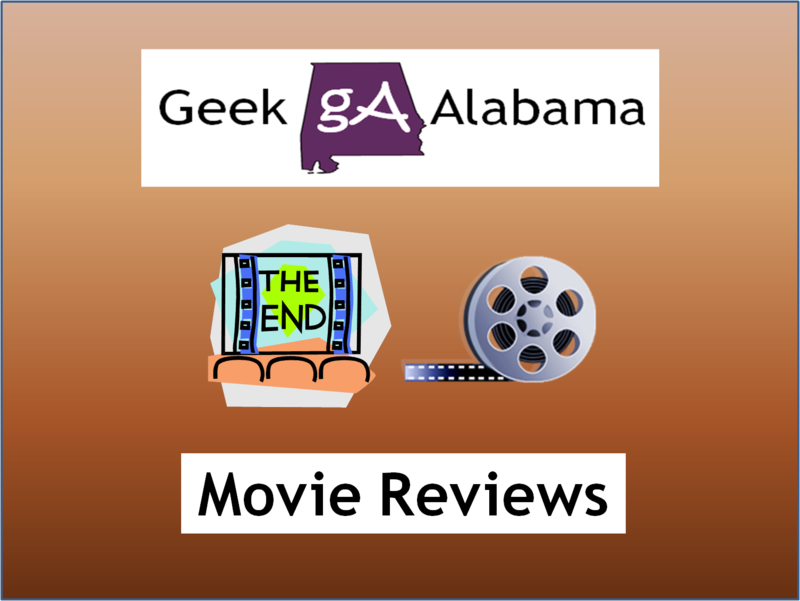 And people representing Hasbro e-mailed me to see if I wanted to see this movie for a Geek Alabama review. I said “why not!” The reviews for Equestria Girls so far have been mostly positive! Yes, it’s not a 5 star movie, but the movie does have it’s good moments. 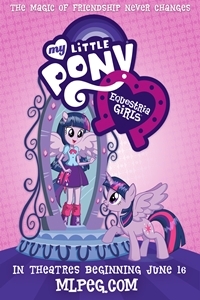 So below I am going to talk about My Little Pony: Equestria Girls. If you have not seen the movie yet, SPOILER ALERT! The movie begins when Twilight Sparkle and her friends arrive at the Crystal Empire. The YouTube channel hottopic gave fans an early sneak peek when they showed Twilight trying to fly but falling. After being greeted by the other princesses, Twilight and Spike goes to bed. But not before Twilight has some questions about being a princess. By the way, many fans loved the opening theme and music in the opener. Some fans even wants this theme to be the opener for season four of the show, I liked the opening theme as well! 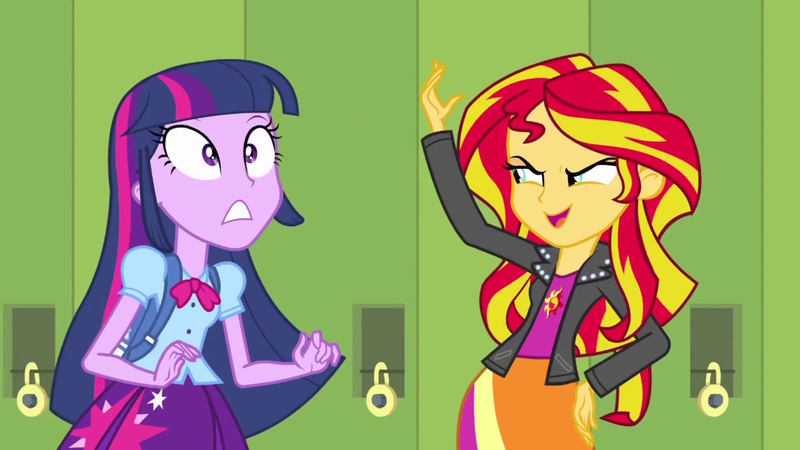 While sleeping, a former student named Sunset Shimmer tries to steal Twilight’s crown. 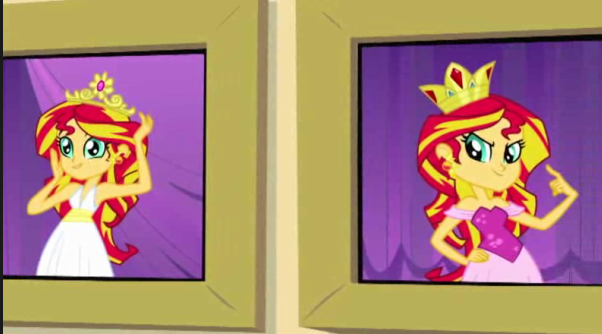 After a short chase scene, the crown, then Sunset Shimmer goes through a magical mirror. Princess Celestia tells Twilight that she needs to go through the mirror to retrieve her crown alone. Without Twilight’s crown, the Elements of Harmony don’t work. So Twilight goes through the mirror with Spike tagging along. What happens next is crazy! Twilight sees Spike as a talking dog, while Spike sees Twilight as a teenage girl! The reaction from Twilight was priceless! The portal is right in front of Canterlot High School and at first, Twilight is walking like a pony with Spike on her back. This draws some weird reactions from the other people. It takes Twilight a long time to adjust to being a teenage girl. When she walks into the high school, she is of course scared. She first bumps into Flash Sentry. Twilight is overwhelmed with the school and the other people around her. Yes, it’s a very strange world to Princess Twilight. What is very obvious is you see the pony versions of many of the characters in Equestria. You will notice the three Cutie Mark Crusaders the most! Twilight first meets Fluttershy who is talking to Sunset Shimmer who is a bully teenage girl in the school. Just like in the series premiere of the show, Fluttershy is happy to see Spike as a dog and finally opens up! In the human world, Fluttershy volunteers at the Canterlot animal shelter and she likes to pass out flyers to recruit more people to help. Somehow, Twilight’s crown fell next to her and she turned the crown in to Principal Celestia’s office. To get her crown back, Twilight decides to enter the Fall Formal contest. Seeing the pictures of Sunset Shimmer winning the crown over and over again was weird. During lunch, Fluttershy tells Twilight that running for the Fall Formal is a very bad idea. We then see your average high school groups like the athletes, dramas, techies, equal kids, rockers, you get the idea. Twilight eating lunch like a pony was funny! She tries to say “everybody” and eat like a human to not embarrass herself. She also has to write without using her mouth which ends up bad. 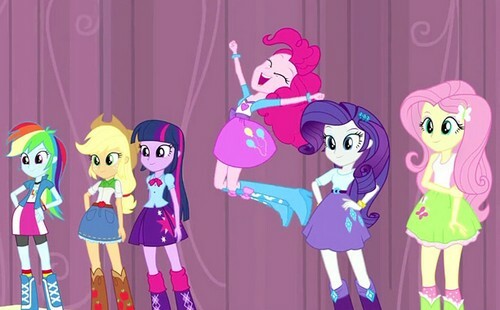 Twilight then meets Pinkie Pie who is the same like in Equestria and loves to party! Then Applejack and Big Macintosh walks in with apple cider. Big Macintosh said his trademark “yep” as a person as well! Sunset Shimmer along with Snips and Snails acts like spoiled brats. Sunset is shocked to see Twilight entering the Fall Formal and she plans her revenge. Sunset and Twilight meet in a dark hall with a Wizard of Oz quote (and her little dog too) and Sunset says she rules Canterlot high. She said “you don’t know the first thing about fitting in” and this upsets Twilight. Sunset orders Snips and Snails to follow Twilight around and we see a cute scene where Twilght tries to get something at a vending machine. We also get to see Trixie! Of course Twilight heads to a library to do some research. But Twilight has no clue on how to use a computer. Thankfully, Cheerlee shows Twilight to use a computer. One funny part was the obvious parody of YouTube. 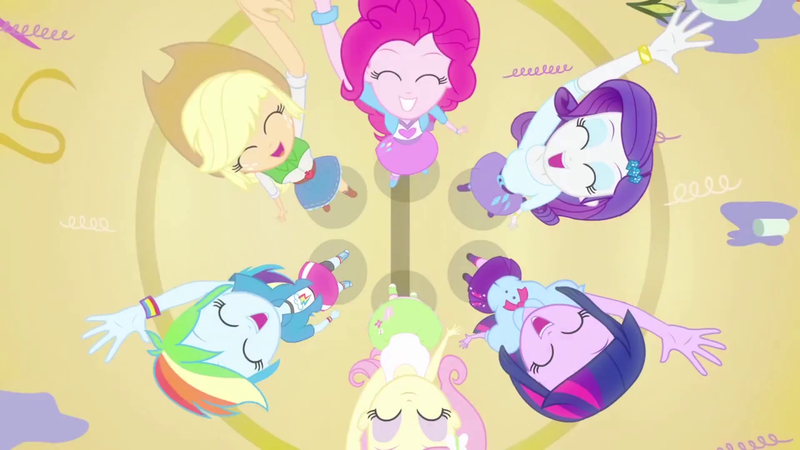 The Cutie Mark Crusaders were jamming to their music video and were upset to see the negative comments. By the way, how does Twilight and Spike get to sleep in a library overnight on a bed of books is beyond me? Normally, you would be kicked out. Twilight feels better about making a impression on day two. But many people are laughing because they see an embarrassing video of Twilight on their smartphones. We also get to meet Rarity who is into fashion like in Equestria. No, the disguise for Twilight does not work. One thing is for sure, Sunset Shimmer has some great video making skills! Twilight gets upset after seeing the video. But one thing is for sure, the other girls are fighting over each other as well. The girls were once friends but Sunset Shimmer has split them apart in Twilight’s theory. We then get to meet Rainbow Dash who is a top athlete at the school. Rainbow has some great soccer skills and she challenges Twilight to a game of one on one. Naturally, Twilight does poorly but Rainbow still offers to help because she is awesome! At the coffee shop where we see Ms. Cake, how does Twilight have money by the way? She bumps into Flash Sentry who recently broke up with Sunset Shimmer. As a sign of unity, of course the girls wears pony ears and pony tails which reminds Twilight of home and the school’s mascot. The song where the girls uses objects and trays during lunch and claps was good! The song was done to encourage the student body to vote for Twilight at the Fall Formal. Twilight did a good job being a part of the performance as well. Even Flash Sentry got involved with his guitar. This upsets Sunset Shimmer because she does not want Twilight to become popular. Sunset stages a mess in the gym and goes to Vice Principal Luna to get her in trouble. She even makes up some photos of Twilight making the mess. Flash Sentry comes in to save day when he finds things Sunset was trying to hide. This is when Twilight comes to hug Flash Sentry, I would be hugging too if he saved me! Twilight comes running to a dress shop where the girls are at and Spike tells Twilight to tell the truth. But Pinkie Pie beats her too it which shocks her and the audience! Yep, Pinkie Pie has a great element of sense. Spike also comes clean and talks. Then Twilight and the girls works together to clean up and fix the gym to have the Fall Formal that night. Other students help out as well and soon the gym is ready to go. Even though the students are casting their votes, Sunset Shimmer vows to have revenge. This part of the movie felt weird with two songs in a very short period of time. But I enjoyed both songs. Twilight and the girls arrive in a limo and Twilight agrees to go to the dance with Flash Sentry. Principal Celestia announces that Twilight Sparkle won the Fall Formal then Sunset Shimmer’s plan goes into action. Snips and Snails kidnaps Spike and Twilight and the girls runs after them. They meet Sunset who has a sledgehammer and is about to destroy the portal back to Equestria. Twilight stands up to Sunset Shimmer and then Sunset tries anyway necessary to get Twilight’s crown. When Sunset Shimmer puts on the crown, she turns into this really ugly monster. She turns Snips and Snails into ugly monsters and puts a mind control spell on the student body. When Sunset sends a fireball toward Twilight and the girls, her magic stops it. 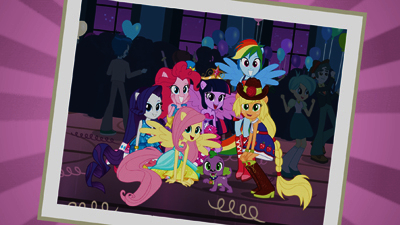 This is the part where Twilight and the girls transforms which includes the pony ears, long tails, and the wings. Twilight’s crown and magic of friendship turns Sunset Shimmer back to normal along with Snips and Snails and the student body. Sunset does not know about the magic of friendship and Twilight tells the students to teach Sunset about the power of friendship, after she completes community service of course. Before Twilight and Spike goes back to Equestria, she has one dance with Flash Sentry and they even dance pony style, how sweet! 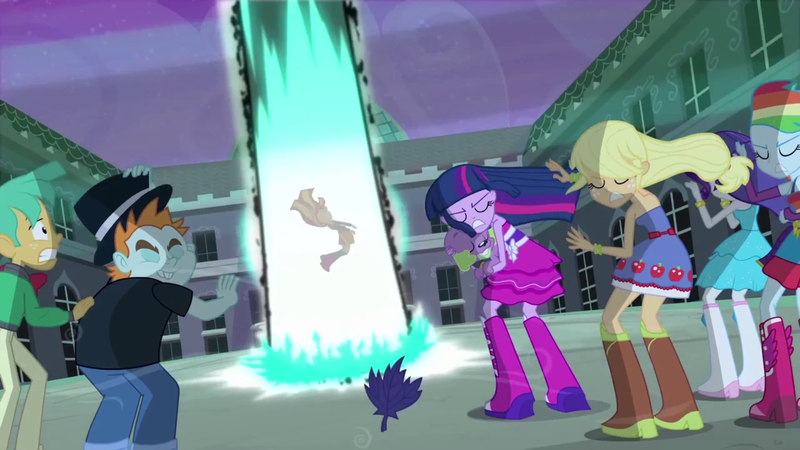 After Twilight and Spike goes back to Equestria, the other girls lose their pony characteristics. Everyone is thrilled to see Twilight back in Equestria and yes, she does bump into the pony version of Flash Sentry, the girls tease Twilight about having a crush. But don’t worry, writer Meghan McCarthy has already said that Flash Sentry will have no role in season 4 of My Little Pony: Friendship Is Magic. And at the end, Pinkie Pie’s sense was 100% perfect again! Okay, Equestria Girls was a good movie but not great. I thought writer Meghan McCarthy did a great job writing the movie and the songs from Daniel Ingram were good as well. I really did not find anything wrong with seeing Twilight Sparkle being a teenage girl. I think this movie will serve as a great moment for the writers and animators because this was a creative challenge creating the human versions of the pony characters. Hasbro should have released this movie in more theaters than they did. But if you can’t go see this movie in the theater, the DVD will come out in early August. And yes, I recommend you see this movie if you like anything animated! Equestria Girls will also air on The Hub this fall as well. The movie serves as a special in between seasons 3 and 4. One thing is for sure, I look forward to seeing season 4 of MLP this Winter!